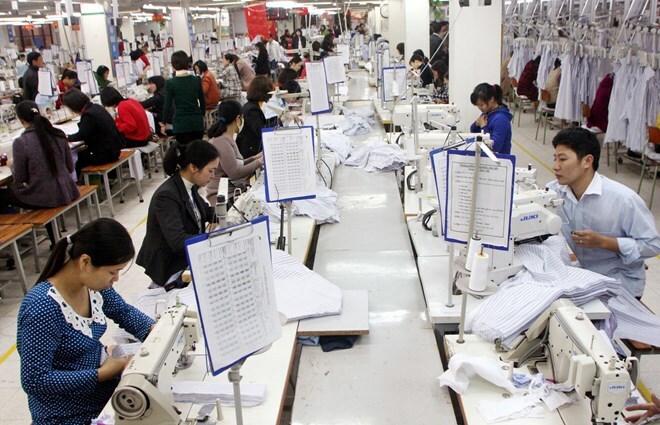 HCM City (VNA) - Domestic garment and textile firms have, for the most part, missed out on the much-touted benefits of free trade agreements (FTAs) that Vietnam has signed, experts said at a seminar on August 2. The firms in the country that have taken advantage of FTA breaks are in the FDI sector, they noted. Vietnam has signed 12 free trade agreements, of which 10 FTAs have come into force: VN-ASEAN, ASEAN-India, ASEAN-Australia-New Zealand, ASEAN-Republic of Korea, ASEAN-China, ASEAN-Japan, Vietnam-Chile, Vietnam-Japan, Vietnam-Republic of Korea and Vietnam - Eurasian Economic Union, said Nguyen Ngoc Hoa, deputy director of the HCM City Department of Industry and Trade. In the 2016-20 period, most tariff lines under the FTAs have entered the period of being deeply cut or completely removed, he said. Garments and textiles are key export items for the country in general and HCM City in particular. If enterprises can take good advantage of FTA opportunities, the country will be able to increase export revenues as well as expand export markets, he said. But to be able to enjoy preferential tariffs under FTAs, the products must meet requirements under the rules of origin, he added. With weak materials supply and supporting industries, businesses in the garment and textiles face a big challenge in complying with the rules of origin, Hoa said. Pham Xuan Hong, Chairman of the Garment-Textile-Embroidery-Knitting Association in HCM City, said the garment and textile industry has to import around 70 percent of its materials for production, mainly from China. “And one of the main reasons for this is that Vietnamese firms lack knowledge on this issue,” he said. Hoa said the seminar was organised by the department in collaboration with the Ministry of Industry and Trade to help garment and textile businesses get updated information on rules of origin so that they can capitalise on preferential treatments under FTAs to boost exports. Trinh Thi Thu Hien, head of the origin of goods division under the Ministry’s Export-Import Department, said that currently, more than 50 percent of Vietnam’s garment and textile products are making full use of opportunities provided by FTAs, but these are mainly FDI companies. “Rules of origin can neutralise preferential tariffs under FTAs,” she said. Goods eligible for preferential treatment under FTAs have to meet general or product-specific rules of origin, and have appropriate documentation, known as the certificate of origin (C/O). Each FTA has its own certificate of origin form, she said. A product can qualify for the C/O if it is cut-made-trimmed in Vietnam under the ASEAN FTA, but under other FTAs like ASEAN-Japan and Vietnam-Japan pacts, firms must meet the rules of origin from the fabric onwards, which is a big challenge for Vietnamese firms since the country still relies heavily on imported fabric. Under the EU-Vietnam FTA, the ministry has negotiated to apply more flexible rules of origin, Hien said. While this FTA also requires rules of origin to apply from fabric onwards, meaning that exports to the EU must use fabric produced in Vietnam or the EU, the agreement also allows firms to use fabric from one third country which has FTAs with both Vietnam and the EU. At the seminar, Hien answered several questions raised by enterprises about FTA rules and procedures regarding C/Os. Hoa said exports in the garment and textile sector were still focused on a few main markets. He urged exporters to diversify their export markets, especially those with which Vietnam has signed FTAs, so as to avoid or minimise risks. Firms need to study carefully the characteristics of each market as well as its rule of origin requirements, he said. Hong said garment and textile exports reached over 14 billion USD in the first half of the year, a year-on-year increase of 11 percent.